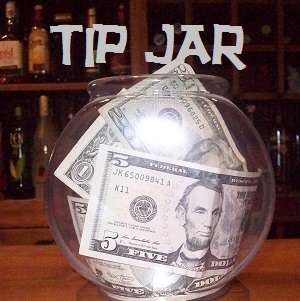 This website will show you how to envision, plan for, and enjoy the best retirement possible. This website will broaden your horizons and help you live a better life. Sound good? Excellent. So the next step is to sign up so I can let you know every time I publish a new article. You wouldn’t want to miss out, would you? Don’t worry, I only send email about once a week. I hate spam as much as you do. Just enter your name and email address below and click the Subscribe button. If you’re still not sure you want to give up your email address to yet another website, that’s okay. I understand. I try not to give out my email address very often, too. So for now, take a look around and read some of the excellent content available here. A great place to start is with 20 of the best articles I’ve written. 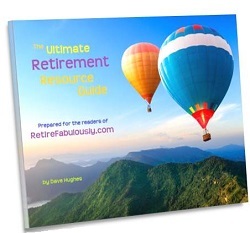 Here is a list of all the articles that are currently available on Retire Fabulously! You can click on any of the categories listed here, or view them all in chronological order. Let me tell you a little more about why this website is here and why I spend so many thankless hours working on it. My goal is to help you envision, plan for, and ultimate achieve the best retirement possible. Most retirement resources are focused on financial planning. There’s no question that saving and financial planning are essential to a happy retirement. But there’s more to enjoying a happy retirement than just saving enough money. There are far fewer resources devoted to helping you plan for what you’re going to do with all the new-found free time on your hands, or how to deal with the changes in your life that take place when you quit working or to help you anticipate choices you will make, such as where to live. That’s what this website is for. There are even fewer resources that deal with these topics from the perspective of the gay and lesbian community. 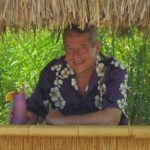 While most of the retirement planning issues we face are common to all of us, gay and lesbian retirees face some unique considerations when it comes to legal and social issues, health care, and living in an LGBT-supportive environment. So I write about that every now and then. Everyone is welcome here. Most content on this website will be useful to everyone, but occasional articles will focus on the unique needs of gays and lesbians. If you’re straight, those articles will serve as a wonderful opportunity to broaden your horizons a bit, and build bridges of support and understanding for all of us. Or you can just ignore them and enjoy the rest. Oh, and how could I forget? I have two books you should buy. Check them out. And feel free to leave comments at the end of articles. I love to hear from readers! You can add something to the discussion or tell me you liked the article, or even tell me I’m an idiot. It’s all good – it lets me know that people are reading. Welcome! I look forward to having you join me on this fun journey towards a fabulous retirement! P.S. 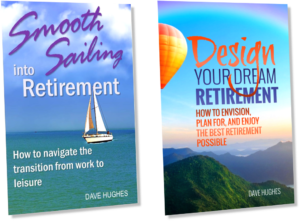 – If you’re curious as to who I am and why I am presumptuous enough to write a whole bunch of articles and two books about retirement lifestyle planning, you can learn more about me here. We have a list created on what we “wish” for, but not sure how you list the criteria and find that perfect place. We would love to explore our options! Hi, thoroughly enjoyed reading the articles and would like to join your e-mail list. Start as soon as you start your job. Find out what kind of retirement plans the eopemylr offers. The three major elements of your retirement portfolio are benefits from pensions, savings and investments, and Social Security benefits.Each year the Social Security Administration sends you your personal Social Security Statement, which gives you an estimate of the monthly benefit amounts you and your family may qualify for now and in the future.Once you’ve reviewed your Statement, you may want to explore a variety of retirement scenarios using a range of assumptions about your future earnings or when you stop working. Thanks, Nicky. You’re entirely correct. The only thing I would add is this. If you are lucky enough to be working for an employer that still offers a viable pension plan, don’t assume that you don’t also need to save on your own in a 401(k) plan or IRA. You may not work for that employer for your entire career, in which case you may not end up with enough years to qualify to receive benefits under the plan, or the amount you receive won’t be as much. That plan probably won’t provide as much as you would like to have anyway.